Set within an elegant mid-20th century town house, Mandarin Oriental offers an avant-garde luxury at the city’s most exclusive address. The beautiful woody scent permeating the air is the first thing to notice when entering the hotel. A sleek entrance catwalk opens into the chic lobby, setting the scene for the glamorous mood. 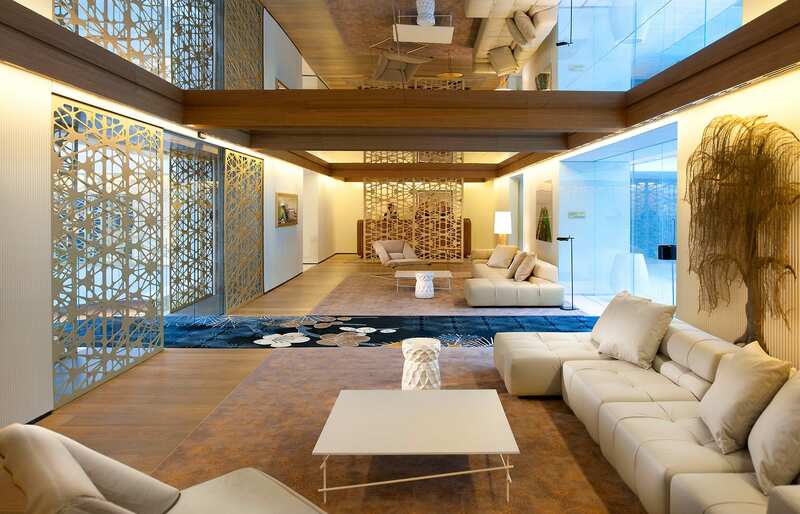 The Mandarin Oriental Barcelona features a contemporary decor that reflects local influences with a touch of the Orient. Responsible for the strikingly contemporary interior concept of the hotel is the world-renowned, award-winning designer Patricia Urquiola. She has succeeded in creating a bright, cozy and comfortable environment, skillfully combining organic shapes and clear lines, and providing a feeling of understated luxury. 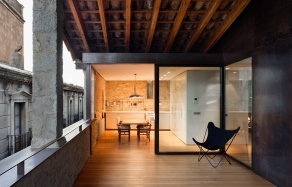 This is reflected in the quality of materials and finishes. Each of the hotel’s 98 stylish guest rooms and suites are filled with natural light that matches the grace of the design. Light oak floors and large bespoke beige rugs add warmth while the avant-garde furniture blends with a sleek high-tech. The sleeping and living areas merge harmoniously with the glass-enclosed bathrooms, complete with oversized walk-in showers or, in some rooms, deluxe soaking tubs with a view. 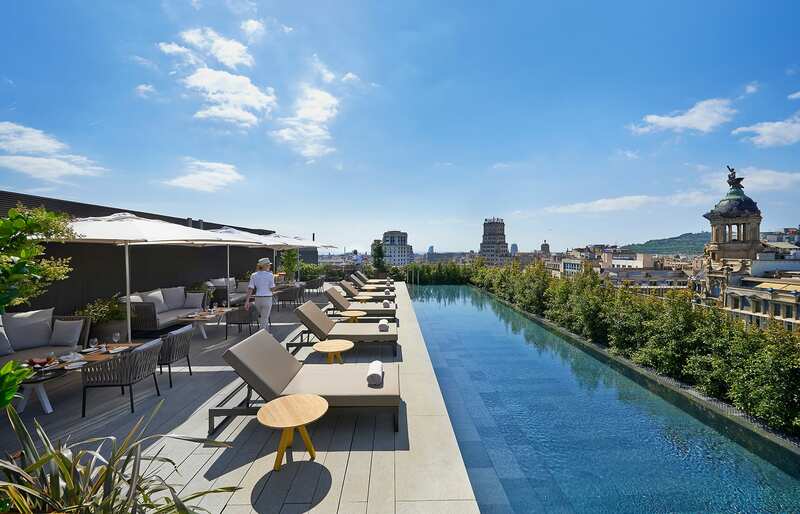 Many rooms offer furnished terraces with views of the hotel’s beautiful garden or the Passeig De Gracia and Gaudi’s Casa Batllo. The hotel’s gourmet restaurant Moments offers innovative cuisine by world-famous Catalan chef, Carme Ruscalleda, while Blanc is a less formal Mediterranean brasserie with Asian influences, with creative tapas, dim sum and sushi on the menu. Then The Banker’s Bar is the hottest meeting point in the city. The hotel has several green spaces, the largest of which is the inner courtyard, known as the Mimosa Garden. 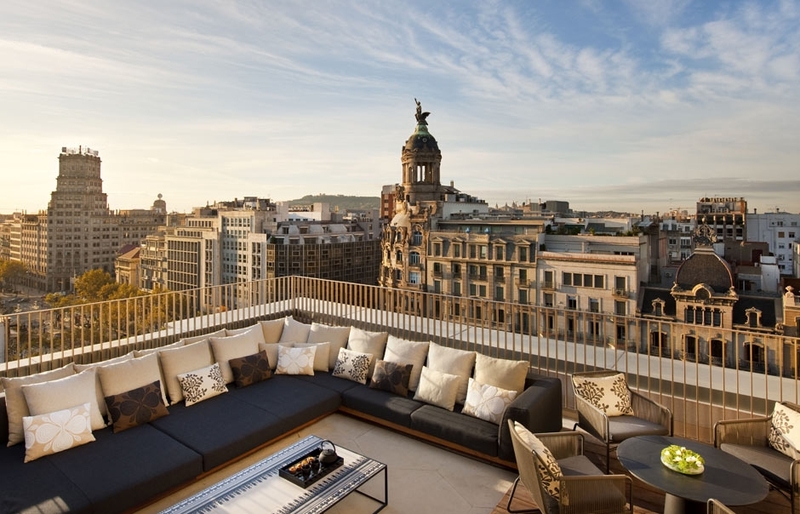 It’s one of Mandarin Oriental—and Barcelona’s—hidden treasures. Covering some 660 square meters, perfectly integrated into the structure of the building, Mimosa Garden is a great place for alfresco dining. 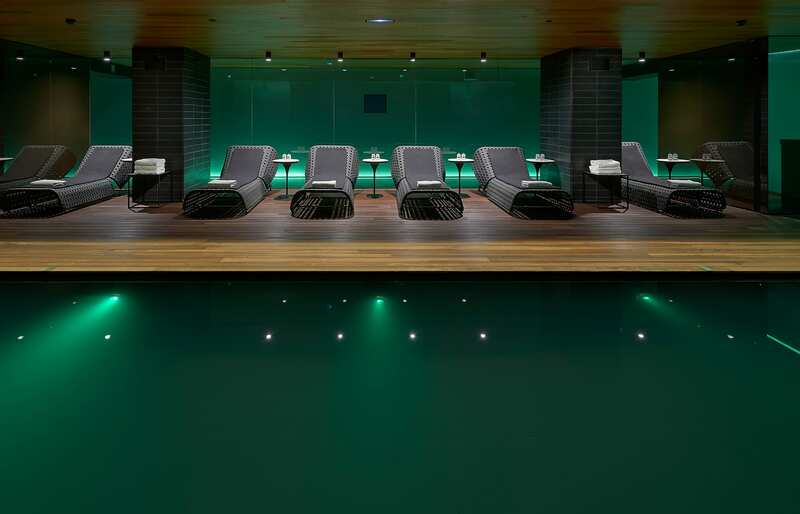 There’s also the spa with eight treatment rooms, a 12-metre pool, a hammam and a fitness centre where dark wood detailing, black ceilings, white floors and the organic look of wet stone are predominant. 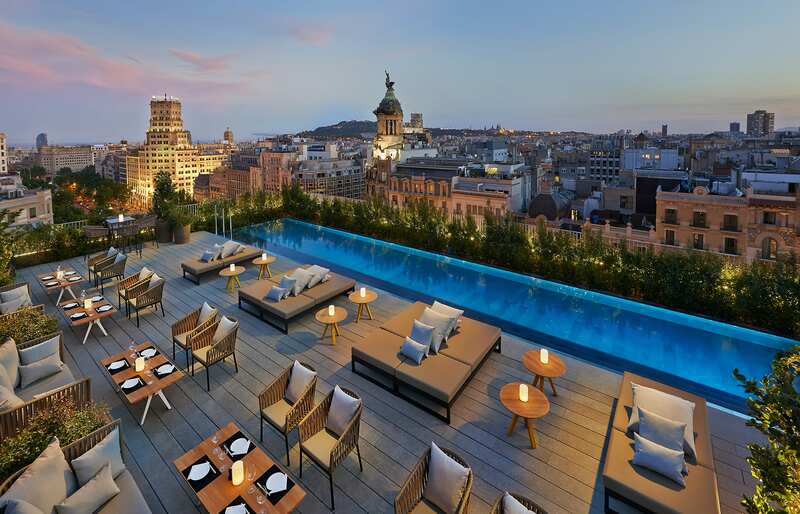 A very special experience awaits guests on the 300-square meter roof terrace. It offers a breathtaking panorama of the city, as well as an open-air infinity pool stretching across the entire width of the roof. 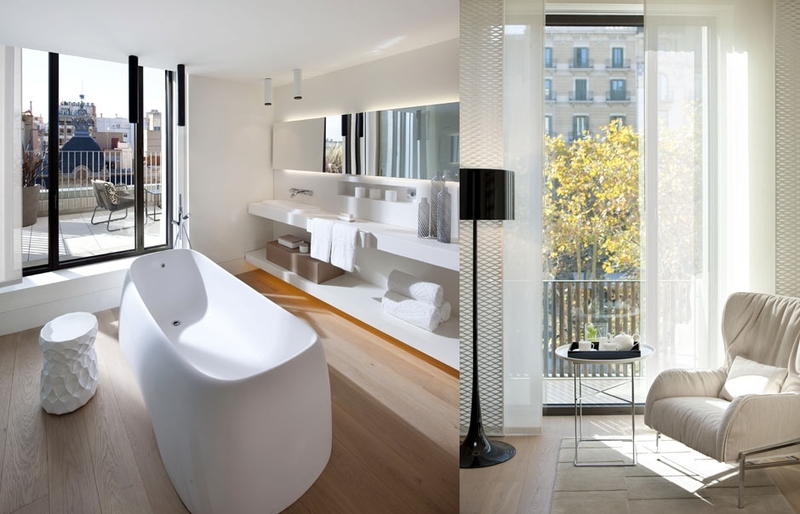 Barcelona’s Mandarin Oriental impresses with the exceptional service, world-renowned spa and cutting edge, classy decor. 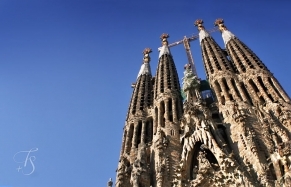 With its outstanding location directly on the prestigious shopping street of the Passeig de Gràcia and in close proximity to the famous Gaudí building Casa Batlló and the lively Las Ramblas, the hotel is a great base from which to explore the city. Mimosa, a delightful secret garden, where guest can enjoy an all-day alfresco dining. Outdoor rooftop pool and Mimosa Garden are open seasonally.